Lace up your sneakers for the 10th Annual Father’s Day 5K on Sunday, June 16, 2019. 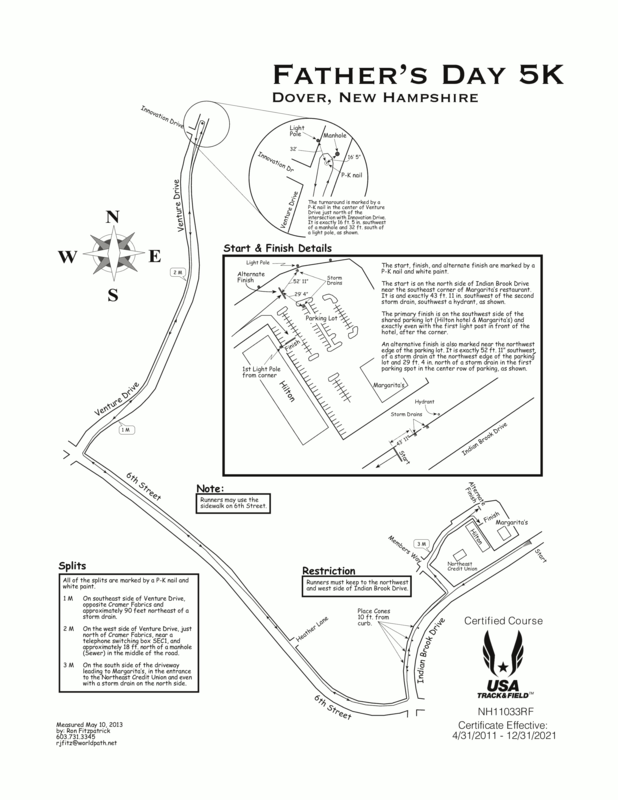 Runners and walkers of all ages and abilities are invited to Margaritas in Dover for a morning of fitness and fun! This June event celebrates Men’s Health Month and invites the public to run and walk for the dads, brothers and sons who touch their lives. This is the sixth race in the Dover Race Series sponsored by Wentworth-Douglass Express Care. Proceeds will help local families access quality health care and support services at Goodwin Community Health and Families First Health & Support Center. SAME DAY REGISTRATION: Same day registration will open at 8:00am on Sunday, June 16th and will cost $25. PARKING: Free parking is available courtesy of Wentworth-Douglass Hospital. Police officers and volunteers will be directing traffic for parking. PRIZES: Overall top male and female runner will win a $50 gift card to Runner's Alley. First place male and female in the following categories will win a gift card to Philbricks in Dover: 14 and under, 15-19 / 20-24 / 25-29 / 30-34 / 35-39 / 40-44 / 45-49 / 50-54 / 55-59 / 60-69 and 70+. NEW THIS YEAR: Second place male and female in each category will win a gift card to Margaritas.